The new Zelda game on Wii U will have an open world. Is that all the franchise needs to do to truly evolve? For the first time in a few years, Nintendo dazzled with plenty of variety and surprises at E3. Nintendo is attempting toys-to-life games in a far different way than Skylanders and Disney Infinity. 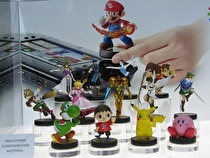 By the end of 2014, Nintendo, Activision, and Disney will be embroiled in a war that spans gaming and action figures. Much like the great plastic instrument wars of the late 2000s, the ongoing toys-to-life war is about to get even more contested with Nintendo joining the battle by launcing Amiibo later this year. However, their concept for their figures is way different than what the others have already done. Ten years ago, something special was brewing within Nintendo. Ten years ago, Nintendo started a revolution that paved the way for some of their best-selling systems of all time. 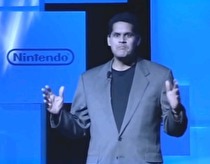 At E3 2004, Nintendo held what can easily be considered their best press conference ever. The GameCube was clearly struggling and the company promised to talk about a new dual screen handheld device.